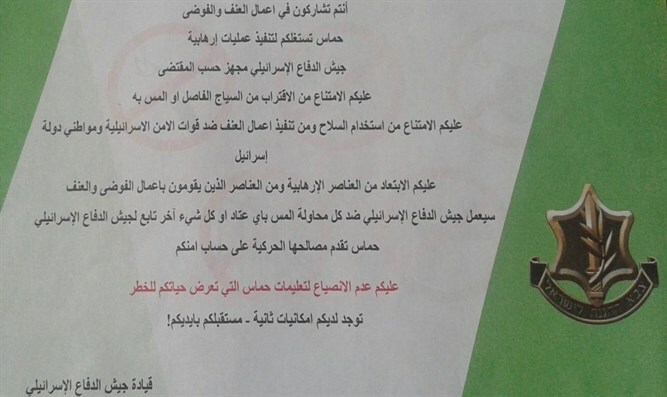 IDF drops leaflets warning Gazans to stay away from border fence, ignore Hamas instructions. 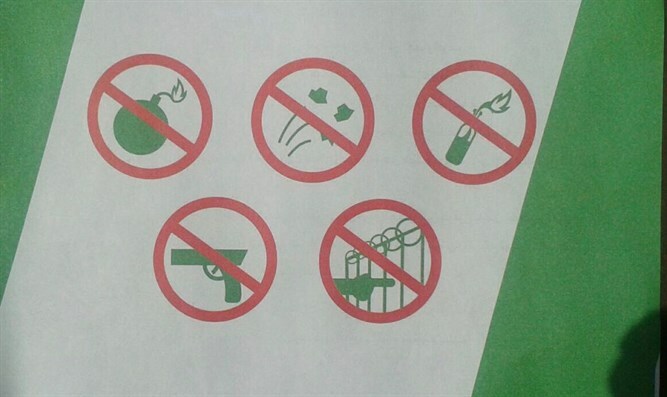 IDF planes on Friday morning distributed leaflets warning Gazans not to near the Gaza-Israel border, attempt to harm it, or attempt to carry out terror attacks. 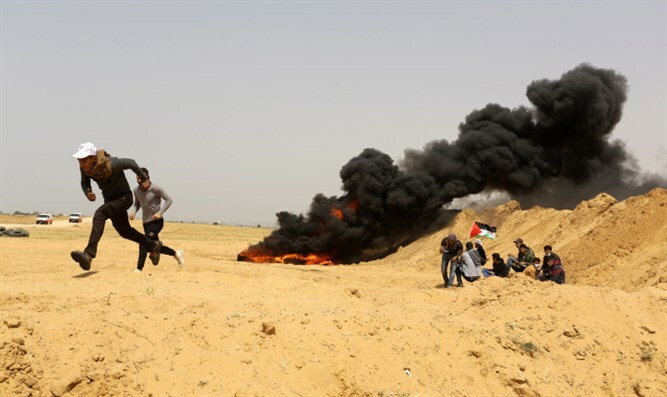 The leaflets said: “To the residents of Gaza: You participate in violent disturbances of order. Hamas is using you to carry out terror activities. “Keep away from those involved in terror and from those who encourage violent disturbance of order. The IDF will take action if there is any attempt to harm obstacles or their contents, or any other IDF equipment. In a statement, the IDF said that it would not allow any harm to the border fence or security infrastructure protecting Israeli citizens, promising to take action against anyone who attempted to harm Israel’s security.